What if I'm having trouble combining my datasets? 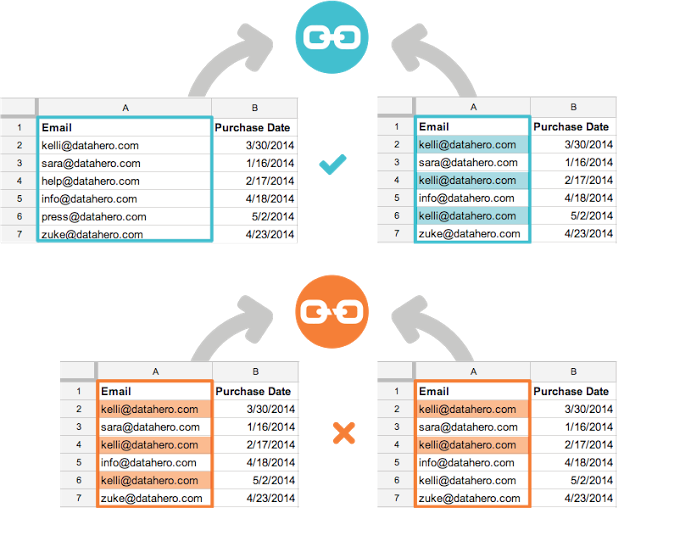 Make sure your two datasets have a shared column. Combining two separate datasets (email to text or location to email) will give you this error message. 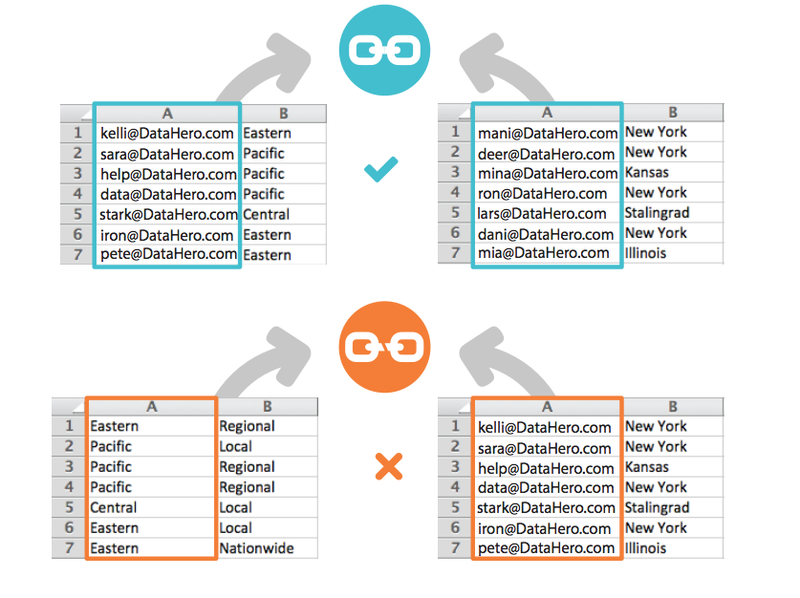 In some cases, you may have repeating data identifiers in both datasets. At this time, you will see an error message as at least one of the datasets needs to contain only non-repeating unique identifiers. How do I combine 2 datasets?